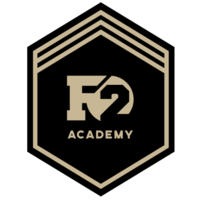 Wodson Park Football Club is pleased to announce that we have agreed a partnership / association with The F2 Academy based at Wodson Park Sports Centre. The link will provide an additional optional playing route for the F2 Academy Scholars to play competitive midweek evening matches under the Wodson Park FC banner headed up by F2 Academy coaching staff. There are already projects in the pipeline that are exciting for both organisations and we look forward to a long and successful association.